FXOpen was the first Forex broker to offer its clients ECN trading via the Meta Trader 4 terminal. And with FXOpen's unique proprietary price aggregating technology our clients can benefit from the industry's most competitive spreads and low trading commissions. In addition, with our One Click Trading and Level 2 MT4 plug-in, traders can also place trades with just one click of the mouse. In 2014 FXOpen continued to set the pace with its latest technologies and offered its retail and b2b clients Bitcoin trading. Our clients can choose from a variety of trading accounts (STP, Micro, ECN and free unlimited demo accounts) and enhance their trading capabilities with Myfxbook and Zulutrade automated trading systems. FXOpen also offers its own PAMM technology allowing our clients to benefit from the strategies of experienced traders with a proven track record of successful trading and guarantees automatic distribution of profit and loss between the strategy provider and the strategy followers. We also welcome Islamic traders and let them take advantage of Forex trading without violating Sharia law by offering them SWAP free accounts. You need to open a new account. Click here to open a new account. Be sure to use an e-mail address that is different from the address you used when you opened your original account. Contact FXOpen at support@fxopen.com to have the funds transferred from your old account to the new one. *The Rebates are calculated for one round turn lot (100,000 units) for Currencies, (100 oz) for Gold, (5,000 oz) for Silver and (1,000 bar) for Oil. 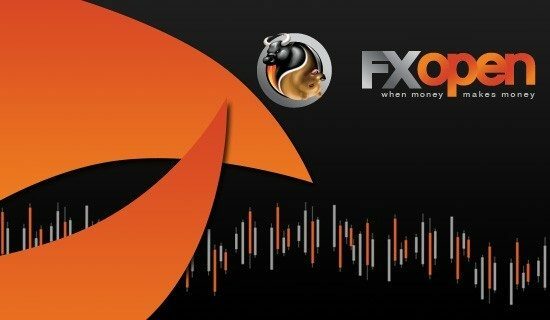 **FXOpen will not pay rebates for trades closed less than 4 pips so neither FxRebate. Take advantage of FXOpen's promotions, receive real money bonuses and start Forex trading without making an initial deposit. For every account type there is a rebate to help you get started with live trading. Deposit $1 or more. Bonus is paid once to the first trading account. Bonus withdrawal terms: You can withdraw the bonus after the total volume of closed trades in your account reaches 1000 microlots. Financial Commission (FinCom PLC) is the first, neutral, third party Dispute Resolution Organization that is dedicated specifically to Forex, and it operates in a way where transparency, swiftness, and education are the paramount values. Financial Commission ensures that traders and brokers are getting their disputes resolved in a quick, efficient, unbiased and authentic manner, while making sure they walk away with a well-founded answer, thus contributing to their overall knowledge about Forex.